D3000-TC Timpani Throne, Drum Throne from Pearl. The new D3000-TC Timpani Throne by Pearl features a hydraulic-lift cylinder, so the player can adjust the seat over a range from 23" to 33" tall. 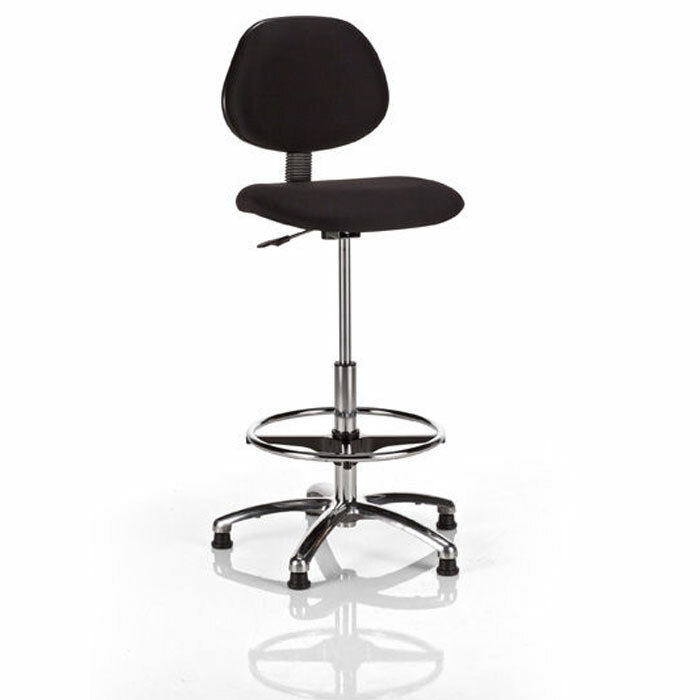 The padded cloth seat is 17.5" wide, accompanied by an adjustable back rest for long periods of use. An adjustable foot ring uses a spin-lock clamp system to provide various foot positionings over the entire length of the center cylinder, requiring no tools for adjustment. The solid cast 5-leg base gives this throne a stable platform, and features one height-adjustable foot pad to accommodate for uneven surfaces. New Brand, New Products: WHD Gear4music.com has launched WHD - a new drum brand with a range range that includes a number of acoustic, electronic and acrylic drum kits, as well as steel snare drums, drum heads and cymbals. Hammerax Feather Cymbal Hammerax has released the Feather brand cymbal line, described as "precise, fast and dark" 18" cymbals. [Musikmesse] Premier Iron Maiden Series One of the biggest drum announcements of the show came from Premier drums, and Iron Maiden drummer Nicko McBrain.